Remember, there is always a choice. Oh, the art of letting go. We recently shared what we would tell our younger selves with on our Instagram feed, and it sparked a lot of questions regarding how to move on from the past. So, we created a list of steps that helped us move on from toxic relationship, bad breakups, heartaches, nostalgia, negativity, guilt, self-worth – you name it. The Art of Letting Go…But How? Letting go of things in the past has everything to do with learning how to move on from the most hurtful of situations. Perhaps it’s letting go of a bad relationship with a parent or letting go of self-blame. Whatever it is that you’re trying to move on from, the following steps are what we do when it’s time to call it quits on something, someone or some memory. First thing’s first, ask yourself if whatever it is you’re trying to move on from serves you any good. If you want to move on from a bad relationship or eliminate toxic people from your life, start with a list of the pros and cons to maintaining a relationship with that person. Perhaps you’ll have many more cons than pros, but maybe the pros are important enough to you that the cons seem minuscule in the grand scheme of things. Or maybe you’ll discover the opposite; that the long list of pros aren’t worth the minimal but overbearing cons. You won’t know until you lay it out on a piece of paper and thoroughly go over the advantages and disadvantages to remaining in contact with a specific person. This step to learning how to move on can also be applied to situations and even items. Maybe you hate following the family traditions that have been instilled long before you because they make you miserable. Determine the pros and cons to continuing with the traditions or breaking them to start your own. 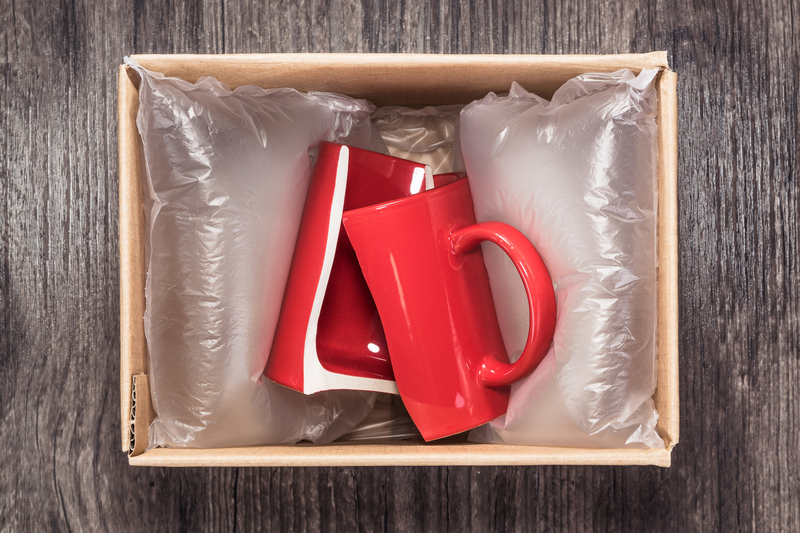 Maybe you’re trying to declutter your home to declutter your mind space and are having a difficult time letting go of items that once meant something to do. Ask yourself, is it serving you any good? If not, let it go. If you’re waiting around for someone to change for you, it’s time to learn how to move on. The one rule to life is to accept that you cannot change people – no ifs, ands, and buts about it. We’ve spoken with police officers who have even said, from what they’ve seen throughout their career, people rarely change. Sure, they may make changes and improve on certain aspects in their life but generally, the true depths of a person never truly change. For example, if someone has been in prison for domestic abuse and has a long history of abusing women, they may change in the sense that they won’t abuse women anymore but they’re underlying reasons for doing it in the first place, such as a hatred for women, will likely always be there. They may not physically abuse women any longer but the abuse is almost always still there, only in a different form. Now, that’s a pretty extreme example but it can be applied to all types of relationships. Has your parent always been verbally abusive to you? Has your boyfriend always cheated on you? Is this their “first rodeo” or is it a pattern, a habit or simply put, who they are? If this is not a one-time occurrence, it could very well be that whatever it is you wish to change about someone is simply who they are. Only this time, add in “if it comes back to you and is healthy for you“. People may come and go but it’s up to you to decide if they are good for you. So, think about the present moment and the way that person is right now. Evaluate the situation as if they will forever be who they are today. Eliminate the “but what if he or she changes,” and think about the now. Do you want this person the way they are right now, forever? If not, let it go. We all have our own reasons for holding on to something from the past, even if that something was never good for us. Perhaps it’s a bad breakup, the end of a long friendship, or betrayal from a loved one. Think about the reasons why you’re having such a hard time moving on. Chances are, you’re waiting for them or the situation to change, you’re waiting for “what ifs” that may never be. Often times, we hold onto things from the past hoping that it’ll come back around and be better or that the situation will be fixed, and maybe it will be. But you don’t have to wait for that. Live your life and if it makes a full circle, then wonderful. If not, at least you didn’t spend weeks, months and maybe even years waiting for something that essentially was never meant to be. If you really want to learn how to move on from the past and hurtful situations, you have to stop being the victim and blaming others. Yes, someone else may very well be responsible for your pain but focusing on that instead of focusing on how you can overcome the pain makes all the difference. At the end of the day – and every hurtful situation – you have a choice. You can choose to remain hurt and vengeful or you can choose to take responsibility for your own happiness. It’s just to you as to whether or not you give someone else so much power that they can completely destroy you. Acknowledge that whatever happened has happened and what you do from this point on is completely in your control. As someone extremely nostalgic, it took a long time to stop living in the past and to start appreciate things in this very moment. Even the best moments in the past are never as good as the ones you could be having right now in this very moment. So, strive to thrive on the present. Throw yourself fully into the now and you’ll spend less time focusing on the past. Just like you can’t change people, you can’t change the past. All you can do is move on and live better today because of it. You will have moments where past memories will creep into your mind. You’re human and it happens to all of us. However, don’t fight them. Acknowledge them for just a moment, then bring yourself back to the present moment. It’s ok to think about the past, as long as you don’t get hung up on it so much that it affects your now. Forgiveness is – hands down – one of the hardest tasks in life. Forgiving others is harder than forgiving yourself, but neither come without some hard work. This is something we believe everyone suffering from mental illness struggles with. We get upset with ourselves for “not being normal” and we get upset with others for not understanding our illness. As the saying goes, we can’t win ’em all. There are always going to be situations where you wish you did something differently and there’s always going to be people who don’t treat you the way you think you should be treated. However, what you do moving forward is entirely up to you and it starts with forgiveness. Learning how to move on has a lot to do with forgiving those from the past, including yourself. After all, moving on can seem impossible when you have a ball and chain attached to the past. Try to emphasize with the person you’re trying to forgive, whether it’s yourself or someone else. Put yourself in their shoes and try to understand why they did or said the things they did. You don’t have to agree with it but try to understand it. Forgive and let it go because you cannot change what happened but you can change what happens. On Anxiety Gone, we often say ‘positivity won’t cure you but it sure as hell will help.’ Make it your goal to become a better, more positive person. It’s like a revenge version of yourself; improving yourself so much and achieving such a great life and throwing it in your pasts’ face – no, not other people’s faces. If you are truly over something, you will no longer care to make them or it pay or feel the wrath of your fury. So, embrace that positivity. With the prior mentioned, here are some other positivity programs you may want try. Remember, you are in control of your own life and the way you live from this point forward. This post was originally published on Anxiety Gone.